Personal attention, nationally-ranked and respected programs, and a world-renowned university- sounds like you'd need to move to an expensive urban area on the east or west coast to get all of that, right? Think again. 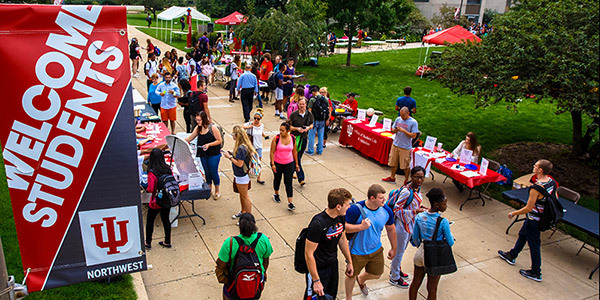 IU Northwest has a long list of advantages and reasons why over 27,000 people chose to earn a degree right here in Northwest Indiana. June 1st, 2019 Priority registration deadline for Fall 2019 and last day for Scholarship Recipients to accept their scholarship by enrolling in classes. Get Ready to Apply: Admission standards, application materials, direct admission, transfer credits, and more. Complete Your Application: Submitting transcripts and test scores, avoiding common application mistakes, and making changes to your application. After You Apply: Creating your IU computing account and checking your status.